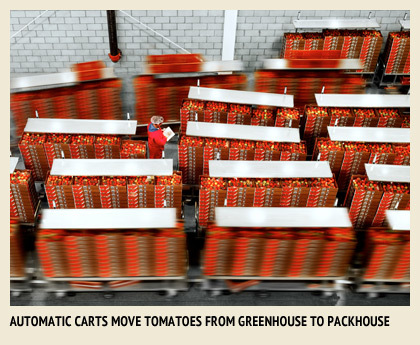 WE PRIDE OURSELVES ON BEING A TOMATO SPECIALIST. FOCUS AND ATTENTION ON THIS CATEGORY IS CRITICAL TO ENHANCING THE KNOW-HOW NECESSARY TO BE THE BEST WE CAN BE – QUALITY IN EVERY PLANT IS A DELICATE BALANCE OF ART AND SCIENCE. Above all else, craftsman’s care is the secret to our success. 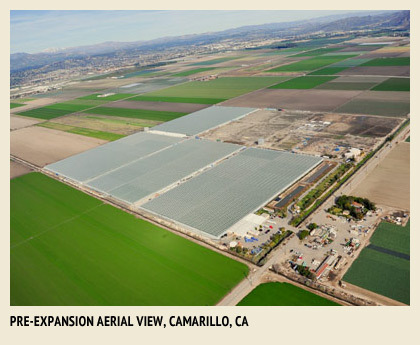 One can spend endless dollars on technology... but in the end, plants don’t lie – the grower must sense plant needs by walking the greenhouse every day, watching and observing, getting in touch with the crop. Craftsman’s care can be found in everything we do, from seeding through propagation, growing, nurturing, picking, packing, shipping, servicing customers and bringing the best-tasting tomatoes to the table. That said, the art of growing without the science of technology no longer produces the quality and consistency that is the Houweling’s benchmark. In our quest for perfection, we have become world-renowned as a pioneer of technologies that improve sustainability, food safety, yields, and consistency. Newly-erected Ultra-Clima® Greenhouses help to optimize conditions that allow our crops to flourish - the right temperatures, humidity, light, carbon dioxide levels. Herbicides are never used in the greenhouse and pesticide-use is a last resort.